Once you have signed-up with Learnyst and customized your online learning website, it is time to create and publish your first course to start teaching online. Here, I'll help you with the basic steps to create and publish your first course. 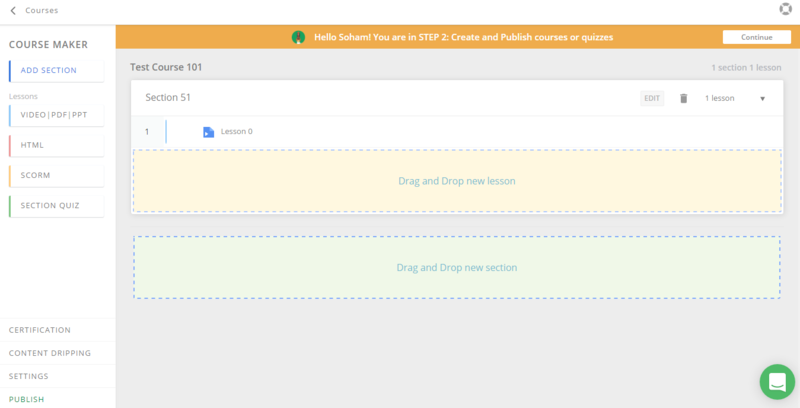 To add sections to your course click on sections button at the top left corner of the course builder page or drag and drop the sections button into the dotted area. Give a name to your section and Click on save. Once you have added a section you can add lessons under that section. 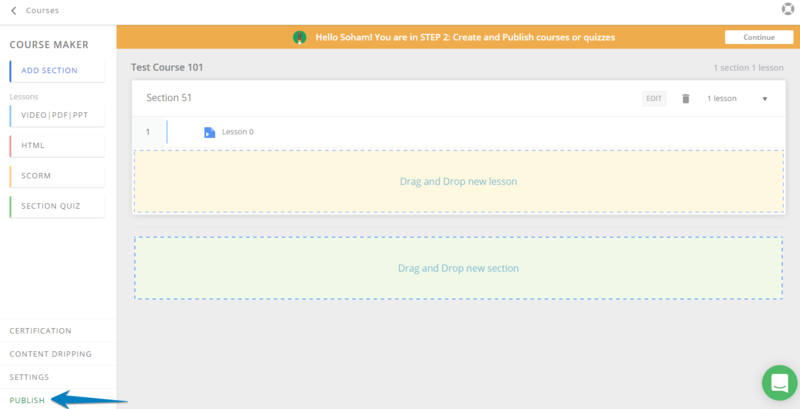 To add lessons to your sections click on Lesson button or drag and drop the Lesson button into the dotted area. A new Lesson builder page shows up where you can upload your lessons in various formats videos, .pdf, Images. Click on Upload videos, .pdf, images from your computer. 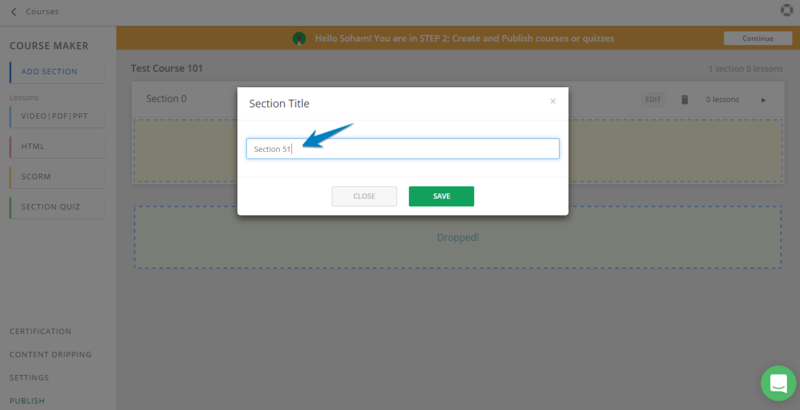 Attach a lesson file.You can enter the title of the lesson and also choose whether the it is a paid or trial lesson and click on save. 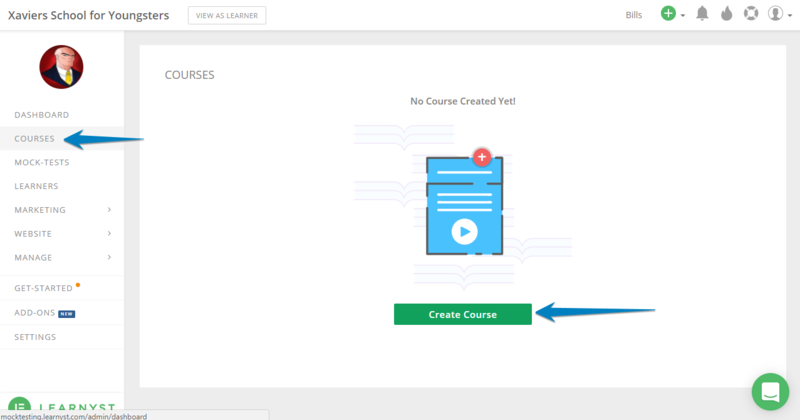 Once your lesson gets uploaded successfully, click on Back to go to Course Builder and view the uploaded lesson under its section. 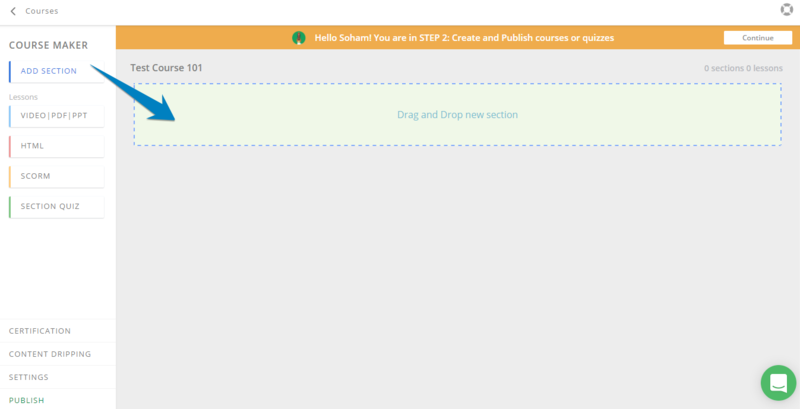 Now click on Publish button on left bottom corner to publish your course. 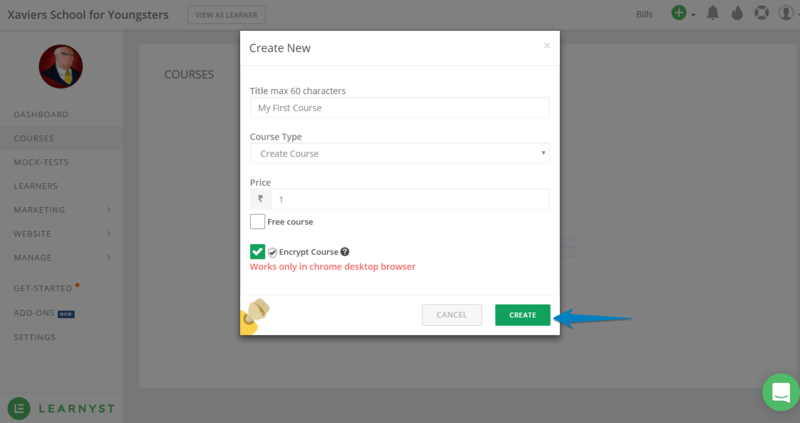 You can go to settings page to make changes to default settings of your course.